Enter our 25th Anniversary Celebration Best Group Outing Contest for a chance to win a $250 Group Gift Card! A chance to win the Best Group Outing at Hinkle Family Fun Center! Who is a part of your best memories? Family? Friends? Besties? Co-workers? Were you celebrating special occasions, just having fun, team building, or just a few hours to blow off steam after a crazy work day? What about your best memories of having FUN with that special group of people? Check out our 25th Anniversary Celebration Group Outing Contest! Click on the link below and send us your Hinkle photo or tell us about your favorite time here with that special group of people and you’ll be entered for a chance to win the Best Group Outing $250 Gift Card! Texas is big and brawny in every way, a state brimming with natural assets. Whether visiting rugged mountains, sandy beaches, wild canyons or pine tree forests, the “Lone Star State” pleases travelers in a million wonderful ways. In the northwest panhandle plains, Palo Duro Canyon State Park is located in Canyon, Texas. Comanche and Apache people, Spanish explorers, modern day Texans, and tourists alike have all relished in the bounty of this high plains preserve. Palo Duro Canyon was gradually carved over the course of a million years by the relentless Prairie Dog Town Fork of the Red River. The result is a canyon that presently measures 120 miles in length, 20 miles in width, and reaches a depth of approximately 800 feet, earning it the popular title “Grand Canyon of Texas.” The canyon’s subtle colors – the red, white, yellow, gray, and lavender- arise from the claystone, sandstone, gypsum and mudstone layered within its walls. Area plant life adds variety to the landscape too, with mesquite, cottonwood, and juniper trees, and Indian blanket and star thistle enlivening the scene. Animals such as the Palo Duro mouse, barbary sheep, roadrunner and longhorn steer may be viewed from the park’s auto routes or scores of hiking, biking and horse trails. Newcomers should stop by the visitor center on the canyon rim, a native stone structure designed by the Civilian Conservation Corps in the early 1930s. For guests who’d like to hear the compelling tale of the “Lone Star State’s” pioneer heritage, the popular “Texas Musical Drama” is performed seasonally at Palo Duro’s outdoor amphitheater. Big Bend National Park, accessible from Marathon, Alpine, or Marfa/Presidio, is at the mountainous southwest tip of the “Lone Star State.” Aptly named “Big,” this national treasure is certainly vast and wild; it does take several days to truly explore these parklands and the far-flung towns within this region. Travelers should keep an eye (or two) on their gas gauges and fill up their tanks whenever the opportunity arises. Big Bend’s terrain is a contrasting combination of Chisos Mountain woodlands, canyons cut by the mighty Rio Grande, and an enormous expanse of the Chihuahuan Desert. An appealing mix of plants represents both American and Mexican varieties, and the park’s desert-dwelling animals come in all shapes and sizes. There are garden-variety types like skunks and jackrabbits and more ominous residents such as black bears, coyotes and mountain lions. The bird population is considerable, encompassing more than 450 species, offering the greatest collection of winged friends in the entire national park system. Fortunately for visitors, hundreds of miles of roadways and nature trails provide tried-and-true routes for exploring all of Big Bend’s interesting nooks and crannies. On southeast Texas’ Gulf Coast, Padre Island National Seashore is located in the Gulf of Mexico, southeast of Corpus Christi. This seashore protects the world’s longest remaining undeveloped barrier island and attracts 800,000 visitors each year. For those who like waterworks, count such favorite pastimes here as saltwater fishing, windsurfing and beachcombing for seashells and driftwood. Many visitors seem to enjoy participating in the park’s special hatchling turtle release programs. At these sessions, baby sea turtles whose eggs were incubated at a park facility are carefully set free into Gulf waters. Landlubbers on Padre Island can go bird watching, hiking, biking or horseback riding. All the while, Padre’s rangers present interpretive deck talks and beach or birding walks designed both to entertain and educate guests. In nearby Brownsville, Texas’ southernmost city, has been billed as “On the Border by the Sea,” offering the best of both worlds for the long- or short-term visitor. Cross the Rio Grande from Brownsville and spend a day in Matamoros, Mexico. Or, visit the Sabal Palm Grove Wildlife Sanctuary, nested on 172 acres. Owned by the Audubon Society, it’s one of the best-preserved Sabal Palm forests in the United States. A short jaunt to the northeast brings you to Natural Bridge Caverns (located just north of San Antonio). This cavern is one of the world’s premier show caves. One way of entering the South Cavern is to be lowered down a 160-foot shaft on a winch. For those not quite so adventurous, there’s a walk-in tunnel to the bottom of the shaft entrance. Once there, you’ll be awed by stalactites in excess of 6 feet in length, and one that is 14 feet long – among the longest in North America. Above ground, guests enjoy the cave’s namesake, the 60-foot Natural Bridge that spans the sinkhole of the cavern. Sam Houston National Forest is located 50 miles north of Houston in east Texas’ piney woods. Hiking, fishing, boating, and hunting are the plum activities at this national forest. The 128-mile Lone Star Trail, a designated National Recreation Trail, meanders through Sam Houston, passing a nice variety of woodlands, creeks, lakes and streams along the way. For visitors who’d rather ride than walk, horses and off-road vehicles are permitted in designated areas. The forest’s freshwater lakes provide swimming areas, sailing opportunities, launches for private watercraft, and canoe or paddleboat rentals. Black bass, catfish and bream are common catches for Sam Houston anglers and hunters bag deer, squirrels, ducks and quail. You should also catch glimpses of endangered woodpeckers and bald eagles if you’re diligent. Woodall’s Campground Directory is the largest and most detailed North American Campground Directory available, with nearly 15,000 campgrounds included. Woodall’s rates and inspects privately owned campgrounds with its trusted 5W-5W rating system. Find out more about Texas Campgrounds. Woodall’s… We’re everywhere RVers go. Calling all Past and Present Employees … Celebrate National Employee Appreciation Day With Us! Worked here or still do? Check out our contest below! It’s National Employee Appreciation Day! This year we are super excited to ask all current and past employees to celebrate 25 Years of Making Memories that Matter with us! We have the best employees and to show our appreciation we are giving away 5 $25 Gift Cards! If you have worked here in the past or are a current member of our great team, then visit us at http://www.HinkleFamilyFunCenter.com and submit your Hinkle related photo and tell us what year(s) you worked here or tell us your favorite work memory! Every valid entry is entered for a chance to win 1 of 5 $25 Gift Cards! Contest ends on 3/5/19. Five winners will be announced on 3/5/19 at 3pm.. Details: Also make sure to click on the Claim Now button and you’ll automatically be signed up to continue receiving emails about Hinkle Family Fun Center specials and events! Over the years, we’re brought the fun to new and exciting heights and you’ve been by our side for the whole ride. In celebration of our 25th anniversary, we’re proud to invite you to float by for a very special event at Hinkle Family Fun Center on Friday, March 1st! Details: Celebrate with us as we salute 25 years of making memories that matter with an exclusive Balloon Glow show featuring Plum Fired Up! In celebration of of Hinkle Family Fun Center’s 25 years of caring campaign, Plum Fired Up has designated Doberman Rescue of NM as their non profit of choice. They will be onsite with an information booth! Family Travel Host USA would like to hear from you. We’ve included several questions below to help you get started. We’d like to publish your responses on our website at https://familytravelhostusa.com/. Send your answers to Family Travel Host USA editor at marcies1960@aol.com. 1) What’s your favorite city in the world or your favorite vacation spot? What makes this place different from any other place? 2) What would travelers do when they get there and why? 3) What is there for families with children to do when they get there? 4) What is the best places to eat and drink? 5) If our readers decided to travel to this place, what would be your number one recommendation for them to see or do while they are there? This holiday event is brought to you by the Salida Business Alliance, Salida Chamber of Commerce, Brady’s West and Monarch Mountain. Shops will be open late that evening, with festive happenings including old fashioned caroling, marshmallow roasting, sleigh rides, Santa Claus, plus chances to win one of two vacation packages. We hope to see you there and remember to support your local shop keepers by doing a little bit of Christmas shopping that evening! Choosing a campground can be frustrating for some of us because we all want different things and have different expectations although we all have one thing in common: camping. Some of us have pop-up campers, travel trailers (RV’s), and motor homes while others camp the traditional way (tents). But we all have different ideas when it comes to choosing the right campground to fit our needs. I talked with several people who love to camp and asked them what were the top 3 things that were most important to them when choosing a campground, and this is the response from nine different campers. These are important things to consider when you make your selection. Make a list of what is important to you and don’t be shy to ask before you book so you’ll know exactly what you are getting. Request a website and read reviews, if available. A satisfied camper is a happy camper! Happy Holidays from your friends and family at Mountain Harbor Resort and Spa! As we gather together to give thanks for all the blessings of 2018, we are reminded of just how lucky we are to serve our wonderful guests year after year. Thank you for entrusting us with something so precious… your memories! Happy Holidays from your Harbor Family! Enjoy a decadent Thanksgiving Buffet for two, a gorgeous Christmas Lighting party with hayrides and lodging for three nights in a two bedroom, two bath condo with fireplace! Celebrate Thanksgiving and the start of the Holiday Season at Mountain Harbor Resort and Spa! You’ll love digging into Harbor’s lavish Thanksgiving Buffet with all your holiday favorites! Harbor is beautifully decorated for Thanksgiving for the buffet and then the day after, everything becomes Christmas with over two million Christmas lights hung throughout the resort. Celebrate with Santa at Harbor’s huge Christmas Lighting Ceremony with free refreshments, live music, face painting, photo booth and hayrides! It’s a Holiday event you will always remember. Three nights in a two bedroom, two bath condominium with fully equipped kitchen and cozy fireplace. Enjoy our Christmas Lighting Ceremony on Friday night! * Does not include tax on lodging or buffet and an automatic 20% gratuity and charge for drinks for the buffet is not included. You will receive a separate billing for these. Mountain Harbor’s Thanksgiving Family Feast! Tis’ the season for Mountain Harbor’s delicious Thanksgiving Buffet. Savory casseroles, freshly baked rolls, traditional turkey, dressing, ham and gravy, served alongside our homemade sensational desserts. Let Chris and the fantastic Lodge Restaurant crew take care of all of cooking and baking this year for you and the family. Three seating times are available (11:30, 1:15, and 3 p.m.) on Thanksgiving. To make reservations, please call our main number at 870-867-2191 and any of our receptionists would be happy to help you. Plan your Holiday Family Get-a-Way today! Join us the day after Thanksgiving as we officially begin the start of Christmas at Harbor. Our fun and festive lighting ceremony includes live music on the stage, free hayrides to view the Christmas lights of Harbor, free cookies and hot cocoa and cider, Christmas story reading by Mrs. Claus and the arrival of Santa, himself via hayride wagon to turn on all the lights of Harbor! Open to the public and of course, there’s no charge! It’s Harbor’s Christmas gift to the community! The fun starts at 6 p.m. at Mountain Harbor Lodge and runs ’till the last hayride is over! The Joplin Fire Department holds their annual fundraiser the day after the lighting ceremony at the fire station and everyone is invited!! The volunteer firemen serve up pots and crocks of homemade spaghetti sauces with pasta, salad and garlic bread. There’s always a big game on the big flat-screen TV! Join us for a fun live auction and silent auction with great gifts for the holidays! Proceeds benefit the Joplin Volunteer Fire Department. Call 870-867-2191 to donate items for the auction or for more information! Fall is one of the most popular times of the year to visit Arkansas because of its excellent fall foliage. Every autumn, nature paints the mountains and valleys of The Natural State with gorgeous hues of gold, red and orange. Many of Arkansas’s visitors travel here for special fall vacations to catch a glimpse (and take some incredible photos) of the season. Scenic drives showcase autumn’s finest while allowing you to explore the state’s varied topography on a fun-filled road trip. Fall colors begin to appear in the Ozarks and other northern sections of the state by the second week in October and continue slowly southward. Mid to late October generally provides peak fall color in the northern portions of Arkansas. October and November are two of the most popular months for visitors due to the beautiful fall colors and favorable weather. From the first swing to your last hole-in-one, miniature golf is the one game that’s always a hit every time out! Join us as we pay tribute to teeing off by grabbing a FREE $5 game card with the purchase of a round of Miniature Golf. Limited time offer available to purchase only with this offer September 21st -28th, 2018! Miniature Golf: Two 18-hole miniature golf courses featuring tree houses, waterfalls, bridges, streams, fountains, trees and gazebos. Play leisurely amid beautiful flowers while weaving around the water on our Stream Course or by the waterfalls and ponds on our Lake Course. Play by sunlight or starlight under beautiful fiber optic lights on our scenic golf courses. Hinkle Family Fun Center’s Game Rooms: Featuring over 135 redemption, merchandise, video and quick coin games that bring power to the players! This National Miniature Golf Day promotional special available for purchase only with this offer September 21st through 28th. For games that test your mind as well as your might, get started on the road to racking up some major points is as easy as pressing play. Get ready to take the controls, smack all the buttons, and maybe even shoot straight up the leaderboards when you double down on game cards at Hinkle Family Fun Center today. Hinkle Family Fun Center’s redemption games dispense tickets that can be redeemed for prizes at our Prize Centers! Our Prize Centers feature many exciting prizes such as candy, bouncy balls, collectible memorabilia, stuffed animals of all shapes and sizes, watches, sports memorabilia, the latest trends in electronics—something for every age! We went out to see the gators! 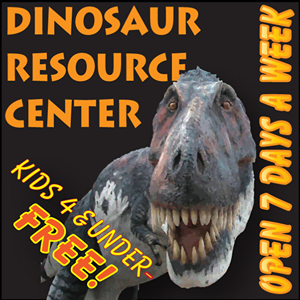 Had a blast… this is one place that is a hit with kids of all ages – even mamaws! If you’d like to receive a copy, send $5 to FAMILY TRAVEL HOST USA, 2413 BETHEL RD., LOGANSPORT, LA 71049 USA along with mailing address today… The Family Traveler is printed 4 times a year $20 for a subscription. It has been a busy week here at The Family Traveler household… our bags are packed and we are ready to go. Our plan is to leave this coming Sunday after church—we’re heading West again this year. We’ll stop somewhere on the road for the night, probably Wichita Falls or Amarillo. At daybreak on Monday we’ll be on the road again to Fort Garland, Colorado where we’ll be for the next 3 nights. We’re staying at the Mountain View Motor Inn in Fort Garland. We’re about thirty miles form the Great Sand Dunes National Park & Preserve and you know what we’ll be doing for the next 3 days! We’ll rent sand sleds and sand boards and soak up as much sun as we can! While we’re in Fort Garland, we’re going to check out the UFO WATCHTOWER. Have you ever wondered what a real UFO looks like? Come find out at the UFO WATCHTOWER, located 2¹/² miles N .of Hooper, CO on HWY 17. For more information, check out their website at http://ufowatchtower.com/ 719-378-2296. When our time is up at Fort Garland, we’re driving over to Lake City, Colorado! We’re staying at The Texan Resort. This is our fifth year in Lake City at The Texan and it certainly won’t be our last. 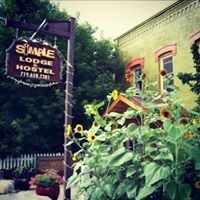 We’ve always had a wonderful stay and Arlan and all the gang there make it a priority in making sure their guests are comfortable and satisfied. They even go as far as hanging their towels and linen out to dry for that down-home country smell and touch. We’ll be there for the next five nights! Check out The Texan Resort website at http://www.texanresort.com/new/index.html. After our five nights is up there, we’re heading a little farther north to a little town called Naturita. We’ll be staying at the High Country RV & Park for the next 5 nights. Lloyd has been trying to get us up to his mountain for the last four or five years and this will be our first visit! Yeah, we are a little excited! Well, a lot! After we leave Naturita, we’ll spend the entire day driving to Truth or Consequences, New Mexico before heading home. We’re staying at the La Paloma Hot Springs & Spa, located at 311 Marr Street -it is home to the “living” water with natural flow artesian hot springs in Truth or Consequences, NM. This will be our first time to visit but we’re going to soak in the hot springs as much as we can for the next five nights! I will never want to leave! My body is craving a little relaxation and you can bet I can find it here. Visit their website for more information at http://www.lapalomahotspringsandspa.com/. Family fun and entertainment is still scheduled in town and Grand Lake looks forward to providing an amazing experience to all of our guests over the next holiday week. New activities are being added throughout the day and old favorites, like the Rotary Pancake Breakfast will continue. Please follow the Grand Lake Chamber Facebook page for updates and watch for new events. Please feel free to keep guests informed about fire activity in Grand County with Grand County Office of Emergency Management and CodeRed. www.gcemergency.com. He may be more suited for a tie than a cape, and perhaps leaping tall buildings is totally out of the question—but that doesn’t mean that Dad is anything less than a true hero. Pay tribute to the super(man) in your life with a day of adventure and awesome attractions at Hinkle Family Fun Center on Father’s Day! Valid on Sunday, June 17, 2018 only. Celebrate your special occasions with Hinkle Family Fun Center! Share the date, and we’ll send you a special offer. Last year, we went to Colorado but I got sick and we had to cut our trip short – it was downhill all the way for me, needless to say. But after beating Stage 4 mouth cancer and finally starting to get on my feet a little more everyday, I felt it necessary to do a write up for several people including our rafting expedition and others that I promised to do a write up for but never did due to illness. I did go rafting though I was sick – never dreamed I had cancer – thought I had an abscess tooth causing my dilemma. Not so. It was oral mouth cancer. Back to the rafting… Our first rafting trip started out with Acquired Tastes Rafting located in Buenna Vista, Colorado. When we arrived, we were greeted by several very friendly people including our guide who gave us instructions before we went out on the river. I felt confident that we were in good hands. The trip down Brown’s Canyon on the Arkansas River was exciting, especially after the guide pointed out Justin Beaver’s summer home. My granddaughter wanted to pull in for a tour, in hopes of meeting the famous movie star. The rapids were pretty swift as the river was up a bit that week. Almost at the end of the trip, wet and shivering from the cold water, we were taken on a quick adventure like never before – when we went down that 6 foot water fall (at least it felt like it to me), it was all we could do to stay on the raft, even with our feet secured to the foot holders in the bottom of the raft. My six year old grandson flew off his seat and I managed to hold him on along with my paddle! One of the kids at the back of the raft lost their paddle so we were short one for the rest of the journey. I don’t think I ever rafted with an experience such as this. That little waterfall/rapid was clearly unexpected but worth the wait as we floated along. If you have never been rafting before and you are planning a vacation to Colorado, you simply have to look for Acquired Tastes Rafting in Buenna Vista. Tell them, you want to go down Brown’s Canyon half day trip … you get 2 extra miles and 2 extra rapids. We’re headed back to Colorado in July so we’ll see you there. We went rafting a second time last year before heading home because of my tooth ache issues that turned out to be cancer – this time with Noah’s Ark… ‘enjoy’ is not quite the word I want to use when it comes to rafting but an ‘experience of a lifetime’ is more like it. When it comes to the different rafting companies there only a few slight differences in how it’s done or where you’re rafting at. But there is a difference in the quality of each expedition but we’d like you to be the judge of that. Both expeditions we went on were great and everything we expected and more. In Buena Vista, we rafted the Arkansas River both times at Brown’s Canyon. So there are two that we highly recommend if you’re in the Buena Vista area – Acquired Taste Rafting and Noah’s Ark. DENVER – In Colorado, nearly 40 percent of the state is comprised of federal public land, including four National Parks and eight National Monuments, 41 state parks, as well as hundreds of regional parks and open spaces. Public land is part of what makes the state’s landscape so breathtaking and lifestyle so rich offering outdoor recreation, wildlife habitats, clean air and water. Outdoor recreation, much of which takes place on public lands, accounts for more than $13 billion in economic activity in Colorado and supports some 125,000 jobs, according to the Boulder-based Outdoor Industry Association. From organizations providing voluntourism opportunities to improve and preserve public lands such as the Colorado Fourteeners Initiative and Volunteers for Outdoor Colorado, to one-of-a-kind outdoor experiences and communities such as Buena Vista and Palisade embracing their public lands for outdoor recreation activities, there are a variety of ways to get involved in celebrating Colorado’s outdoors for everyone to enjoy. For more information, visit https://www.colorado.com/articles/care-colorado-voluntourism-opportunities. Colorado Public Lands Day (May 19, 2018). Colorado was the first state in the nation to designate a state holiday celebrating public lands, Colorado Public Lands Day. Passed by bipartisan margins in the state legislature in 2016, the holiday will take place on May 19 this year. The state holiday is intended to encourage all Coloradans and visitors to the state to get outside and enjoy Colorado’s unparalleled public lands. Several voluntourism events take place across the state in celebration of the day including river cleanup, trash pickup and more. Colorado Fourteeners Initiative (Golden). Colorado boasts 58 peaks towering above 14,000 feet, and these mountains are popular for locals and visitors to climb. In an effort to preserve and protect the natural integrity of the state’s fourteeners, the Colorado Fourteeners Initiative began in 1994. Visitors wanting to explore these peaks while also giving back can get involved with the initiative by volunteering on trail construction, maintenance and restoration projects from mid June through early October. Trails 2000 (Durango). Trails 2000 is a non-profit that plans, builds and maintains Durango’s more than 300 miles of trails. In the San Juan Mountains of southwest Colorado, trails are the number one access point to public lands, offering hundreds of miles of trails within minutes of town. Offerings available to visitors include volunteering at maintenance projects, helping remove deadfall and trail education along with a host of ongoing Public Land Trailwork days occurring throughout the season, which runs March through October. Vail Nature Center (Vail). Operated by the Walking Mountains Science Center, the Vail Nature Center is a 1940s homestead perched between a mountain meadow and the forested banks of Gore Creek. On top of offering programs such as nature walks and hikes, wildflower walks, art in nature and more, Vail Nature Center hosts a weekly outdoor volunteer project. These projects include invasive species removal, planting native vegetation, trail restoration and more. Volunteers for Outdoor Colorado (Denver). Established in 1984, Volunteers for Outdoor Colorado (VOC) has been active in motivating thousands of people annually to provide volunteer work for their outdoor stewardship projects from April through October. These projects take place across Colorado and include trail restoration, gardening, ecological restoration, invasive species management and more. Experience a canyoneering adventure in the Uncompahgre National Forest. Local outfitter, Canyoning Colorado, offers canyoning/canyoneering descents and trainings in the quaint mountain town of Ouray, which has been frequented by seasoned canyoners for years due to its abundance of canyons and waterfalls. Adventurers have the chance to explore eight canyons in the Uncompahgre National Forest outside of Ouray on these expeditions. The tours and trainings are available to persons with no prior experience. Experienced climbers can take on more challenging tours or join a course to learn to canyoneer on their own. Catch a glimpse of wildlife on the Colorado Birding Trail. The Colorado Birding Trail is comprised of outdoor recreation sites, hiking or walking paths, both public and private, along a designated driving route across the state. Each driving route offers unique trail names and is composed of several watchable wildlife sites including the Bobolink Trailhead in Boulder, a reliable nesting site for species along the Front Range or the Prairie Canyons Trail just south of La Junta, where visitors can see horned lizards, Cassin’s Kingbirds, roadrunners and more. Cool off in the brisk water at Great Sand Dunes National Park & Preserve. Medano Creek in Great Sand Dunes National Park and Preserve is something of a mystery. Each spring it emerges from the mountains behind the sand dunes to form a wide, shallow and gently flowing stream. Visitors wade into it to cool hot feet after tromping around the dunes, build sandcastles, boogie board and splash around in its rhythmic waves before it retreats back into the mountains just as quickly. The ideal combination of sultry desert and refreshing water is not the Alamosa-area park’s only charm — the dunes themselves are quite bewitching as well. Marvel at the masonry of Colorado’s ancient people at Canyons of the Ancients National Monument. So adept were the construction skills of the ancient Ancestral Puebloans who lived in southwest Colorado, that parts of their structures still stand more than 700 years later. Those who tour the area’s mesas and canyons today are left to speculate about the purpose of the multistory brick towers. Archeologists think they could have been homes, storage silos for crops, defensive forts or ceremonial structures. Canyons of the Ancients National Monument near Cortez, contains the highest known archaeological site density in the United States, with rich, well-preserved evidence of native cultures. Utilize new tech toolkits from Colorado Parks & Wildlife. Colorado Parks & Wildlife has launched a fishing App for smart phones that enables anglers to check out mapping information for over 2,000 locations in the state, along with the most up-to-date regulations, details on fish species, seasonal flies, weather and more. A new State Park Pass Online Purchasing System allows travelers to purchase state park passes, make state park camping reservations and buy wildlife licenses online and with their mobile devices. Raft the tumbling rapids of the Cache la Poudre River. Colorado’s only nationally designated Wild and Scenic River, the Cache la Poudre carves down Poudre Canyon through narrow sections flanked by alpine mountainsides and natural rock cliffs west of Fort Collins. The triumph of paddling over a rapid named Devil’s Staircase is second only to the views and the chance to spot bighorn sheep and deer scampering along its rocky hills. Rafting outfitters guide groups to rapids of all difficulty levels, so everyone gets just the right amount of adventure. Walk in dinosaur footprints in Comanche National Grassland. Standing in Picketwire Canyon with your foot swallowed by a three-toed impression left in the bedrock by a brontosaurus 150 million years ago, one’s imagination runs wild picturing what it might have looked like when dinosaurs inhabited the area. The canyon was home to a lake during the Jurassic period, and the brontosaurus you’re tracking now used to frolic along its shores. The footprints are reached after a flat five-mile hike, bike or horse ride. Stop at the Comanche National Grassland Office in La Junta for directions to the tracks and to get tips for safely navigating this remote area. Boulder Open Space and Mountain Parks 50th Anniversary. City staff celebrated the institution of the Open Space tax last November, but there will be events to celebrate most of the year. This tax was put in place in 1967 and has helped the city of Boulder residents to preserve the beautiful mountain backdrop. Boulder is located where the mountains meet the plains and it allows for both mountain and plains recreation. Perhaps the most iconic landmark are the flatirons located at Chautauqua trailhead, but, that’s only a small part of the trail system and 45,000 acres of open space. Palisade Plunge (Grand Valley). Slated to begin construction in 2019 in the Grand Valley’s east end as part of Governor John Hickenlooper’s Colorado the Beautiful Initiative, the Palisade Plunge Trail will allow visitors to mountain bike down a 32-mile trail that starts atop Grand Mesa in alpine tundra and ends up in the high-desert town of Palisade known for its wine and peaches, an elevation drop of 6,000 feet. Trail Maintenance Endowment Fund (Steamboat Springs). Resident riders and trail-focused guests to Steamboat Springs continue to benefit from new trails created using public funding from initiative 2A. Another notable result is the Trail Maintenance Endowment Fund. This permanent funding source supports specific non-motorized trail and trailhead maintenance projects on public lands within Routt and Moffat Counties. A diverse board determines trail maintenance priorities annually, and land managers use funds to fuel projects. Whitewater Park (Buena Vista). With the Arkansas River flowing right through the heart of Buena Vista, the quaint mountain town is a hotbed for water sports and boasts one of the finest whitewater parks in Colorado. A brother and sister, who donated the land to the city of Buena Vista as permanent public parkland, saved the property that now holds the Whitewater Park from development. Through state grants, construction began on five water features from 2005 to the present. The park now draws recreational boaters and professional whitewater athletes from around the country. Colorado is a four-season destination offering unparalleled adventure and recreational pursuits, a thriving arts scene, a rich cultural heritage, flavorful cuisine, and 27 renowned ski areas and resorts. The state’s breathtaking scenic landscape boasts natural hot springs, the headwaters of seven major rivers, many peaceful lakes and reservoirs, 12 national parks and monuments and 58 mountain peaks that top 14,000 feet. For more information or a copy of the 2018 Colorado Official State Vacation Guide, visit www.COLORADO.com or call 1-800 COLORADO. 70th Anniversary of Fibark Whitewater Festival (Salida): For those with a competitive edge, join in on the 70th anniversary of Fibark, a whitewater festival June 14-17. Contestants have the choice to participate in several river events including Raft Rodeo, downriver race and slalom race. This three-day event will also be accompanied by live music, lineup to be announced in April. ATV and Rafting Blast with Mile Hi Rafting (Dumont): Clear Creek is the steepest rafted river in Colorado and conveniently located just 30 miles west of Denver. Mile Hi Rafting is offering a scenic one-hour ATV tour with lunch riverside, followed by a ‘Blast’ intermediate whitewater raft trip on Clear Creek. Starting mid-May through August, guests can enjoy this multi-activity offering for $149. Canyoning with Canyoning Colorado (Ouray): Ouray, Colorado is known for its ice climbing in the winter, but in the summer months, the same waterfalls can be explored through canyoning. Canyoning entails repelling down waterfalls and exploring river canyons, and Canyoning Colorado is offering new half day and full day tours and trainings for all abilities this summer. Fishing at Badger Creek Ranch (Cañon City): For those who love to fish and appreciate the comfort of a warm bed and good food, Badger Creek Ranch is just the place. 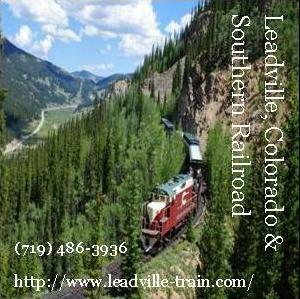 The ranch is nestled in the high country of Colorado’s central Rocky Mountains. By the nature of the landscape, many fishing opportunities are available within easy reach of the ranch including fly fishing on area rivers and streams as well as fishing in high mountain lakes and reservoirs. Water Adventures at John Martin Reservoir State Park (Las Animas): Called the sapphire on the plains, the John Martin Reservoir is one for people and wildlife to enjoy with its peaceful surroundings. The reservoir provides visitors with uncrowded boating, fishing, wind water sports and amazing conditions for a wide variety of wind water sports. New Belgium Timberline Cruiser Regatta at Frisco Bay Marina (Frisco): The Town of Frisco is known to celebrate several unique events at the Frisco Bay Marina. On June 23, Frisco Bay Marina will host the 11th annual New Belgium Timberline Cruiser Regatta, a fun sailing race open to anyone with a sailboat. Costumes and creativity are encouraged. New Whitewater Park on the Eagle River (Eagle): The town of Eagle has announced The Eagle River Park will open summer 2018. The world-class whitewater park will feature an in-stream design optimizing the river’s natural morphology, which will also offer riverside recreation areas. Welcoming all athletes and visitors, its proximity to I-70 will make it an easy trip for people to visit. Playing on the Beach at Medano Creek (Great Sand Dunes National Park and Preserve): Medano Creek in Great Sand Dunes National Park and Preserve is something of a mystery. Each spring it emerges from the mountains behind the sand dunes to form a wide, shallow and gently flowing stream. Visitors wade into it to cool hot feet after tromping around the dunes, build sandcastles, boogie board and splash around in its rhythmic waves before it retreats back into the mountains just as quickly. The peak of the creek’s annual flow is late May. Scenic Tour with Twin Lakes & Interlaken Boat Tours (Twin Lakes): Twin Lakes and Interlaken Boat Tours provides narrated boat tours of Twin Lakes, located among the highest peaks in Colorado. The tours include both the upper and lower glacially formed lakes and the historic Interlaken resort, established in the late 1800’s as a getaway for wealthy mining tycoons. Tours run daily from May through September. Tickets start at $20 for adults, $10 for children. Soaking in Hot Springs at Iron Mountain Hot Springs (Glenwood Springs): The Iron Mountain Hot Springs caters to all who appreciate relaxing with a warm soak surrounded by mountain views. Glenwood Springs’ newest hot spot offers 16 natural mineral hot springs soaking pools and a freshwater family pool with a jetted spa. All are located alongside the Colorado River with Rocky Mountain views that soothe and inspire. Stand-Up Paddleboarding and Kayaking Adventures with Limelight Hotel Aspen (Aspen): Guests of the modern luxury Limelight Hotel will get the chance to go on a guided lesson with Charlie MacArthur, founder of Aspen Kayak Academy. This three-hour lesson is accompanied with a picturesque tour of the Nature Preserve located on the east side of Aspen. The paddle boarding and kayaking package will be offered every other Wednesday in May through September. Stand-Up Paddleboard Rentals and Lessons with Rocky Mountain Paddleboard (Denver, Boulder and Longmont): Rocky Mountain Paddleboard is offering stand-up paddleboard rentals, adventure trips, full-moon paddles, and paddleboard rentals starting at $20 for one hour and $30 for two hours. Beginner lessons are also offered. Water Activities in Grand Lake (Grand Lake): Colorado’s deepest and largest natural lake, Grand Lake lies just one mile from the western entrance to Rocky Mountain National Park. From swimming at the beach, fishing or sightseeing at Cascade Falls, activities in Grand Lake won’t fall short on the list of water activities this summer. Nearby Lake Granby also offers delightfully cool water and boating opportunities. Waterfalls at Rifle Falls State Park (Rifle): On a hot summer day, the mist that drifts from the exhilarating gush of water over 70-foot-high limestone cliffs and the dark caves below them in Rifle Falls State Park are a sublime natural air conditioner. These geologic attractions near Rifle draw photographers, spelunkers, fishers and campers to this singular state park. Women’s Fly Fishing Clinic with Breckenridge Outfitters (Breckenridge): Breckenridge Outfitters, a local fly fishing adventure shop, is offering clinics this summer that are focused on getting women anglers out in the white waters with tight lines. The 2018 Women’s Fly Fishing Clinic class schedule has four scheduled clinics that will take place from May through August. Rates start at $129 per angler. ABOUT COLORADO: Colorado is a four-season destination offering unparalleled adventure and recreational pursuits, a thriving arts scene, a rich cultural heritage, flavorful cuisine, and 28 renowned ski areas and resorts. The state’s breathtaking scenic landscape boasts natural hot springs, the headwaters of seven major rivers, many peaceful lakes and reservoirs, 12 national parks and monuments and 58 mountain peaks that top 14,000 feet. For more information or a copy of the 2018 Colorado Official State Vacation Guide, visit www.COLORADO.com or call 1-800 COLORADO. Denver, CO – In this part of the universe, Coloradoans are fools for camping — and nothing elevates a night under the stars like a fireside feast. Consider one of the state’s favorite campsites below, conveniently paired with ideas on where to pick up Colorado-made ingredients to prepare tasty eats. Crow Valley Recreation Area, Briggsdale. Cradled by Pawnee National Grassland’s sun-kissed prairie, Crow Valley’s dark skies delight Milky Way chasers and solitude seekers. Choose from 10 spacious sites, and capture Insta-worthy views of the Pawnee Buttes — twin castle-like mesas that rise above the plains — from the nearby Pawnee Pioneer Trails Scenic and Historic Byway. Supply stop: stock up on cans of Denver-based The Infinite Monkey Theorem wine at Pringle’s Fine Wine & Spirits in Fort Collins, then pick up some house made garlic brats to char over the campfire from Beavers’ Market, also in Fort Collins. Pearl Lake State Park, Clark. Pearl Lake’s placid waters beckon travelers to answer the call of the wild, and nearly all of the park’s 36 campsites afford knockout vistas of the lake and surrounding peaks. Activities include kayaking, Gold Medal trout-fishing and frolicking in the surrounding forest via out-of-the-way trails. Supply stop: collect cured meats, cheeses and lovingly prepared chocolate bark (for extra-special s’mores) at Steamboat Springs’ The Homesteader, adored for its inventory of locally produced goods. Ute Campground, near Pagosa Springs. This 26-site locale near Chimney Rock National Monument boasts glimpses of the monument’s archeological ruins, home to more than 200 seemingly frozen-in-time homes and structures built by ancestors of the modern Pueblo Indians. Choose a site shaded by soaring pines, and take a guided walking tour of the monument. Supply stop: dazzle the campers brood with picks from specialty food shop The Choke Cherry Tree in Pagosa Springs. Made onsite, delicious homemade fruit syrups in flavors like the namesake wild chokecherry or boysenberry are a perfect topping for campfire pancakes in the a.m., while Grandpa Bill’s Caramels make an excellent evening treat. Mosca Campground, near Hooper. Tucked in the shadow of always-pretty Great Sand Dunes National Park and Preserve, San Luis State Park’s 51-site campground is an ideal base for spying on shorebirds, songbirds and raptors, and hiking or biking amid the lower sand dunes as the Sangre de Cristo Mountains tower above. Supply stop: grab snack items like Salazar Meats smokehouse sausages (the small-scale livestock and meat-processing operation is family-run in nearby Manassa) and Blue Moose of Boulder dips at Alamosa’s Valley Food Co-Op. Though members can join the cooperative, it’s open to anyone for shopping. Island Lake Campground near Delta & Cedaredge. Colorado’s Grand Mesa, the world’s largest flat-topped mountain, is the holy grail of outdoor playgrounds. Island Lake Campground’s 39 sites are situated at 10,000 feet, offering primo access to Grand Mesa’s 300 fishing lakes, 3,000 miles of trails and wildflower shrouded meadows. Supply stop: whip up a coveted cheeseburger supper with provisions from Homestead Natural Meats in Delta: patties made from their own expertly raised beef and a selection of Rocking W Cheese, an export from nearby Olathe. Colorado is a four-season destination offering unparalleled adventure and recreational pursuits, a thriving arts scene, a rich cultural heritage, flavorful cuisine, and 28 renowned ski areas and resorts. The state’s breathtaking scenic landscape boasts natural hot springs, the headwaters of seven major rivers, many peaceful lakes and reservoirs, 12 national parks and monuments and 58 mountain peaks that top 14,000 feet. For more information or a copy of the 2018 Colorado Official State Vacation Guide, visit www.COLORADO.com orcall 1-800 COLORADO. Here’s your chance to win 2 adult tickets and 2 children tickets to the Rocky Mountain Dinosaur Resource Center in Colorado Springs, Co.
Email your answer about the following trivia question to Family Traveler at marcies1960@aol.com. We will draw the entry winner on Monday! Be sure to include email address, complete name and mailing address with your entry. Contest Ends Monday May 21st at Noon! What year was the oldest military post established in Colorado; what city, and by whom was it established? Family Travel Host USA Send stories and photos to marcies1960@gmail.com.